Remember Sherry Paji’s Star Cricket commercial tagline, Jo Baat Hindi Main Woh Baat Aur Kahin Nahi. I bet you do. In case, if you don’t or haven’t seen the commercial, here is your golden ticket to do that. Actually, my firang friend got the bug of Hindi. Now, she chats in Hindi, shares Hindi quotes and wants to start a Hindi blog. Therefore, to learn art of writing in Hindi, she instructed me to find some good quality Hindi blogs for inspiration. Things are all good but when I inquired her about Hindi madness, she retorts Sherry Paji’s punchline, Jo Baat Hindi Main Hain Woh Baat Aur Kaha. Now after going through hundreds of Hindi blogs, here are my top picks for you and everyone else who is searching for some good Hindi blogs. 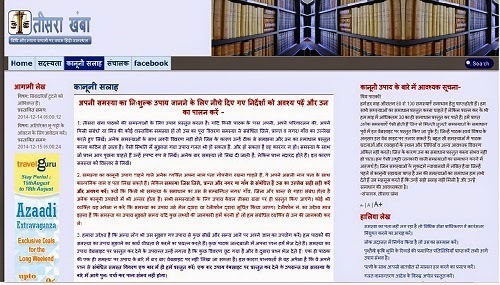 Chheete Aur Baucchare is one of my favorite Hindi blogs. It is satirical in tone but fun to read. Ravishankar Shrivastava, the man behind Chheete Aur Bauchare, writes about life, national and international politics and technology. 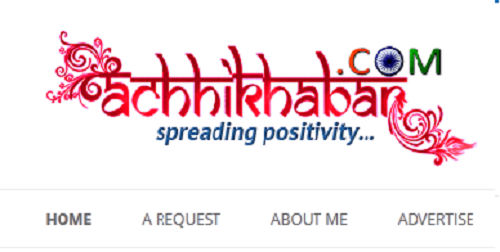 Rachanakar is another super hindi blog by Ravi Ratlami. Here at Rachnakar, you can read opinions, interviews, reviews, and short stories by both budding and established Hindi writers. Teesara Khamba is a unique blog because of its approach. Dinesh Rai Dwivedi, the face behind Teesara Khamba, shares free legal advice and Indian law related updates. He also runs a help forum, Salah, in case you want to discuss your problem with him in detail. Itching for a good travel story and that's too in Hindi. Pretty much like an ALL in One travel package. 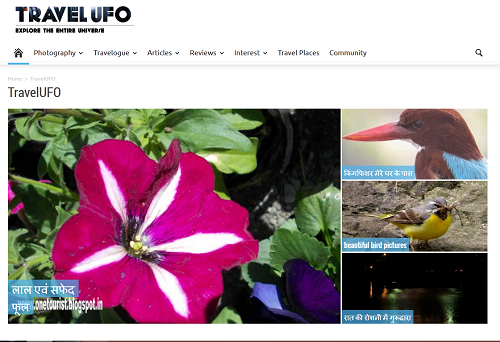 If yes, Manu Prakash Tyagi’s Travel UFO is for you. Manu, self-titled ghumakad raj, shares stories and how to tips on beautiful and little-known travel spots in India. 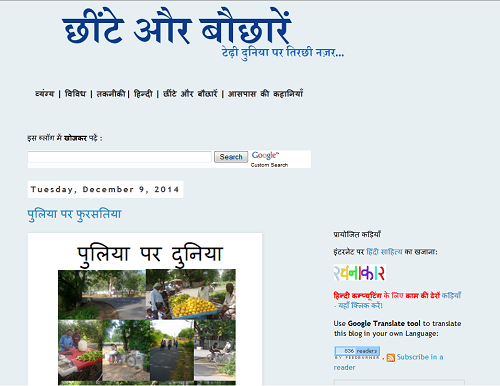 Mohalla Live was started way back in 2006 and now have gained a cult status among Hindi lovers. If you want to know why, just visit the blog. A tech enthusiast. So, catch all the latest happenings in the tech world in your own language Hindi with Tech Prevue Hindi or Taknik Drishta. Want to read and discuss what is going on there in the national and international politics. Then Visfot is for you. Need some good news. Acchi Khabar by Gopal Mishra is all about good news, and inspirational stories. The blog was started way back in October 2010 and still going strong. 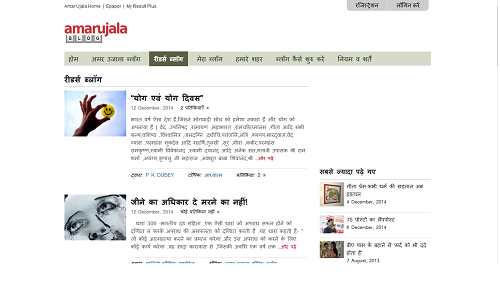 Amar Ujala readers blog is one of the top community Hindi blogs. Follow the blog for some quality Hindi reads. Saving the best for the last, Qasba or Nai Sadak is the blog by NDTV Prime Time anchor and laprek writer Ravish Kumar. Visit Qasba to read Ravish Kumar’s opinions on national and international issues. 1. This is not an exclusive Hindi blog list. And this list is not also based on some Alexa or any other ranking system. So don't try to find any co-relation between the ranks, the effort will be not fruitful. 2. 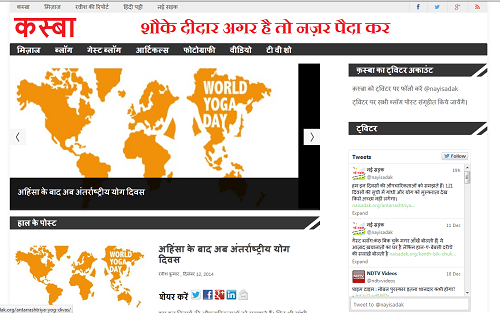 If you are not looking for hindi blogs, you can check top 5 hindi news website for being updates. 3. 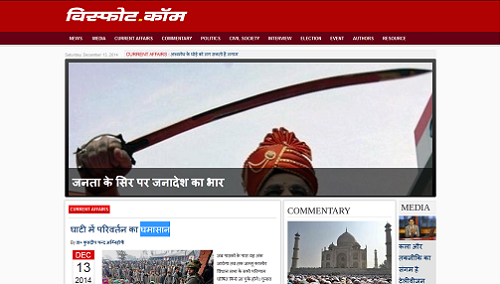 And if news and blogs are not your flavor, then you can check these free hindi story apps. Thnx for adding my blog. 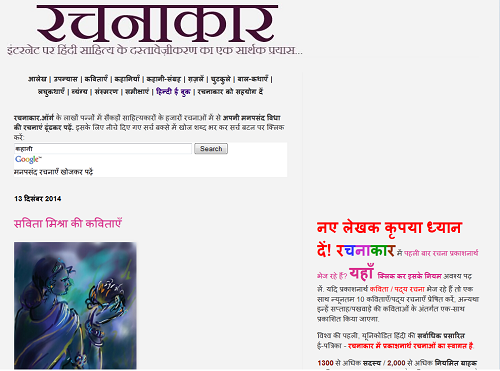 Hello There, good to know about so much of Top indian hindi bloggers. 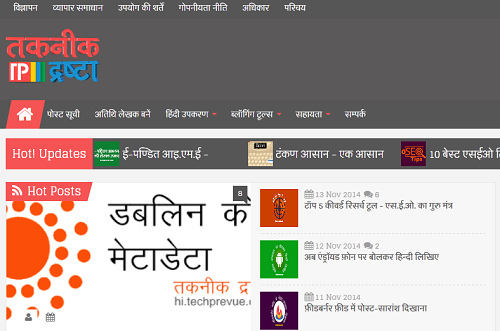 I will recommend to add our blog Hindime.net as it is one of the top technology blog in hindi. Please share your insights for our blog. Apne is list mein rakha iske liye thanks, kya mere blog ka link http://hi.techprevue.com ki jagah https://hindi.techprevue.com kar denge.